Teeth Whitening: DIY or Visit your Dentist in Douglasville? Do you hide your smile because your teeth aren’t as bright or white as you’d like? You’re not alone. Many people don’t like the color of their smiles and are turning towards teeth whitening as a fix.With so many whitening options available, choosing the right one for you can be confusing. From professional whitenings to over-the-counter, drugstore kits, how do you know if one is better than other? Where do you start? You start with Dr. Jim Williams! All of us at our dental office in Douglasville want to encourage our patients to come see us before deciding on a whitening treatment. Although whitening your smile may seem simple and harmless, there are a few things to consider before taking the leap. Over-the-counter whitening kits may seem like the ideal solution with their slim price tags and convenience, but it’s important to be aware of their potential dangers. Since many of these kits provide a whitening tray that isn’t custom fitted to your smile, the bleaching solution can easily sit on the gums for a prolonged period of time and cause irritation. Additionally, some products that you find at your local drugstore can lead to tooth pain or can be too mild to yield desired results. An alternative to these kits is a professional whitening with your Douglasville dentist. This option is safer as custom trays are used and protective measures are taken to avoid any gum irritation. You’re also often able to keep your smile whiter for longer. Whichever choice you make, make sure to visit Dr. Jim Williams for an initial smile whitening consultation. We’ll help you choose the best option for you and your teeth and make sure you’re a candidate for a smile whitening procedure. If smile whitening isn’t your best option, we can discuss alternatives like veneers or bonding. Don’t remain tight-lipped! Show your smile to the world. Start by calling us today! Why Should you Visit Your Douglasville Dentist Regularly? In order to maintain a healthy mouth, the American Dental Association (ADA) recommends that you visit your dentist at least twice a year, and we agree. All of us at the dental office of Dr. Jim Williams in Douglasville want to express the importance of visiting us at least every six months for optimum oral and overall health. When you maintain regular visits with your Douglasville dentist, you can avoid certain dental issues like tooth decay and swollen gums. While these may not seem problematic at first, they can lead to other major dental problems such as gum disease, abscesses, and sometimes even tooth loss if left untreated. 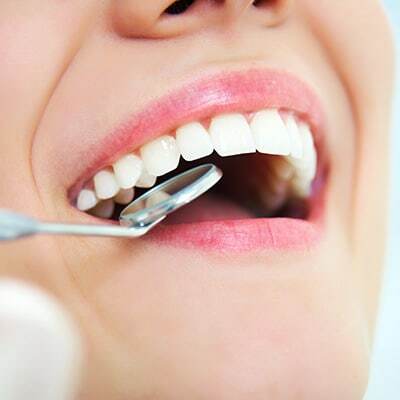 During biannual visits, we not only conduct a thorough cleaning, we can also help diagnose any lurking problems and treat them before they become dangerous to your smile, and your health. Many dental issues can lead to other serious health conditions like strokes, heart disease, and even certain cancers. Regular dental visits help prevent these scary health problems with early diagnosis and treatment. At your six month checkups, we’ll look for gum disease, oral cancer, evaluate your bite, and perform other preventive screenings. If you’re at higher risk for gum disease or decay, we’ll often recommend that you make appointments more frequently than every six months. Don’t wait for dental problems to creep up on your or cause serious health problems. Be proactive with your health and call Dr. Jim Williams in Douglasville to schedule an appointment today. We’d love to meet you and help keep your smile, and your body, healthy. A lot of times we are presented with the question, “Do I really need to floss, or is brushing enough?” Dr. Jim Williams in Douglasville wants you to know that flossing isn’t just a suggestion; it’s an essential part of a healthy oral-wellness routine. Proper flossing can help reduce the risk of gum disease and cavities, and is an important step toward having an overall healthy mouth. 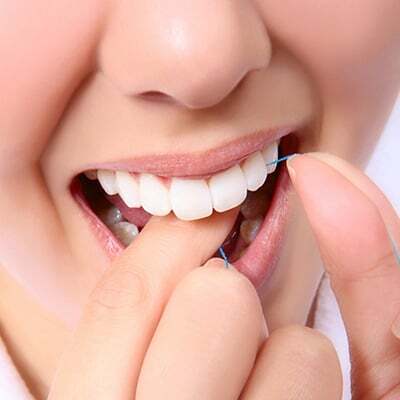 In fact, The American Dental Association (ADA) recommends flossing at least once a day in order to achieve optimal oral health. Daily flossing removes plaque and bacteria from between the teeth — where a toothbrush can’t reach. 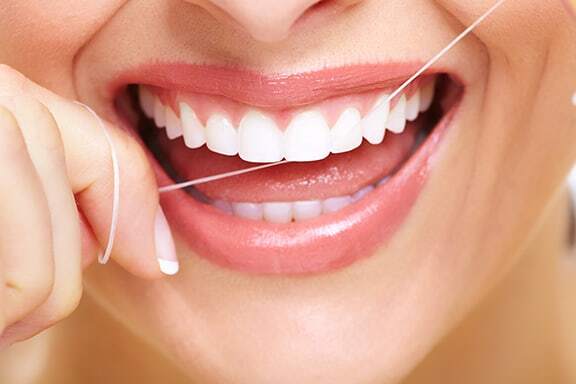 If you’re just starting to adopt a good flossing habit, you may experience minor discomfort. It’s important that you don’t stop. If the discomfort doesn’t go away after a week or two of daily flossing, be sure to visit our Douglasville dental office as soon as possible. Even if you do floss habitually and correctly, it’s still very important to maintain regular visits with your dentist in Douglasville. If you’re in need of a professional cleaning or check up, or if you just want to show off your healthy gums, call us to schedule an appointment today. Brushing your teeth is something we all learn to do at an early age, and is even considered fun in the beginning. However, over the years, we become so used to brushing our teeth that we have a tendency to not really pay attention to how well we’re doing it. This could lead to a less than optimal clean and put you at risk for dental problems. At the Douglasville dental office of Dr. Jim Williams,we want everyone to know that it’s not only important to brush your teeth, but to also make sure that you’re doing it properly. Although we’re always happy to hear that our patients are brushing their teeth twice a day, we also want them to know that an incorrect technique can leave teeth exposed to harmful plaque and tartar. Proper brushing helps you successfully remove these oral health dangers along with other harmful bacteria, and helps protect against cavities, gum disease and bad breath. No matter how perfect your technique may be, it’s still very important that you visit your Douglasville dentist for routine checkups and professional cleanings. If you’re due for a checkup or cleaning, give Dr. Jim Williams a call to schedule your appointment today. Choosing a toothpaste for you and your family isn’t as easy as it used to be. With so many options to pick from, how do you know if you’re using the right toothpaste? From fluoride to tartar control, whitening to easing tooth sensitivity, the multitude of options is confusing. But don’t worry, the Douglasville dental office of Dr. Jim Williams wants to go back to the basics and explain what you should look for. When choosing a toothpaste for you and your family, you should first narrow your search by looking for products with the American Dental Association (ADA) seal of approval. The ADA seal means that the product is safe and it does what it claims it will do. ADA approved toothpastes have undergone clinical studies by the association and the claims, whether it’s cavity fighting or tartar control, are backed by scientific findings. 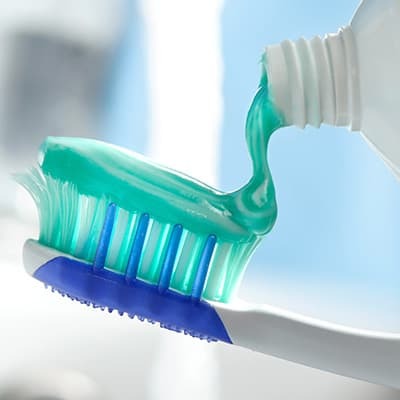 Besides looking for the ADA’s approval, the most important component of a toothpaste is the ingredient fluoride. Fluoride has been proven to protect tooth enamel from decay and is crucial to maintain a healthy gums and teeth. In fact, according to the Academy of General Dentistry, brushing with a fluoride toothpaste twice daily can reduce tooth decay by as much as 40%. In addition to fluoride as a key ingredient to the best toothpastes, flavor is also important. While there are no real clinical benefits to certain flavors over others, it is important to like the flavor of your chosen toothpaste to encourage brushing twice a day. Whether you choose a cavity fighting, tartar controlling spearmint toothpaste or opt for one that helps with sensitivity, using the right toothpaste is only part of maintaining a healthy mouth. While using a fluoride infused toothpaste twice a day is a great at-home routine, it’s also very important to keep up with regularly scheduled professional cleanings and checkups. The Douglasville dental office of Dr. Jim Williams can help get your smile back to health and keep it that way. If you’re due for a checkup or dental cleaning, give us a call today to schedule your appointment. Walking down the toothbrush aisle at the local supermarket can be an overwhelming experience – especially if you aren’t sure what you’re looking for. When choosing the right toothbrush for your smile, there are a few important characteristics to take into consideration other than simply your favorite color or the one that’s on sale. At the dental office of Dr. Jim Williams, we want to go back to the basics and discuss a few of the things you should look for when buying your next toothbrush. The size and shape of your toothbrush is a good starting point when choosing the ideal toothbrush for you. The head of the toothbrush should easily fit into your mouth without any strain or discomfort. The toothbrush should also fit comfortably in your hand and should feel as natural as holding a fork. The bristles of your toothbrush are also important and should be taken into consideration. While many people tend to think that harder bristles will be better for cleaning teeth, it is, in fact, the opposite. Hard bristles can irritate the gums and even damage teeth. 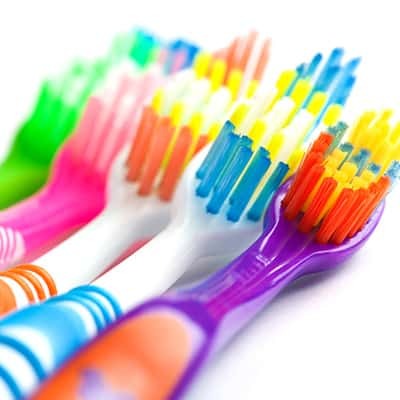 Our dental office in Douglasville prefers and recommends soft-bristle toothbrushes. According to the American Dental Association, both manual and powered toothbrushes are effective and thorough at cleaning your teeth. However, some individuals have difficulty using a manual toothbrush to successfully reach all areas of the mouth and find that powered toothbrushes are easier and more comfortable. Whether you decide on manual or powered, it’s ultimately more important to make sure that your toothbrush is easy to use and that you’re comfortable with it. Dr. Jim Williams also recommends that you brush your teeth twice a day and to visit our Douglasville dental office regularly for professional cleanings and exams. related dental injuries. In fact, some of the most common dental injuries are the result of contact sports like basketball, soccer or lacrosse. However, with sports mouth guards made in our Douglasville dental office, your chances of getting a dental injury during a sporting event is greatly decreased. Using a sports mouth guard while playing any contact sport reduces the risk of injuries to your lips, tongue, gums, jaw, and of course, your teeth, and protects your mouth from some of the most common dental injuries. Sports mouth guards not only protect the inside of your mouth, they can also help protect you against concussions and jaw fractures. However, not every mouth guard can protect you equally. Stock mouth guards often fit loosely over the upper teeth, aren’t individually shaped, can interfere with breathing and speech, and tend to move around a lot and therefore don’t fully protect your teeth. Self-adapted mouth guards (often referred to as boil and bite) can be individually shaped during a heating-biting process but are still prone to move around in the mouth, are easily bitten through and can’t protect as well as a custom-made mouthguard. Custom-made sports mouth guards from your Douglasville dentist are constructed to fit your mouth like a glove. They last longer, are more comfortable and provide the ultimate level of protection. Both the American Dental Association and the Academy for Sports Dentistry recommend a properly fitted custom-made mouth guard to reduce the risk of sports related dental injuries, and your Douglasville dentist can properly fit you for one. If you’re joining a recreation league, your kids are trying their hand at basketball, or if you’ve been playing forever, the dental office of Dr. Jim Williams can help protect your mouth, and your smile. Contact us today to learn more about sports mouth guards in Douglasville. In our previous two blogs we’ve covered what periodontal disease is, how to recognize it, and how it can affect the rest of your body. All of us here at Jim G. Williams, DMD not only want you to be aware of the basics of periodontal disease and the dangers that it can cause to your overall health, we also think it’s important that you’re aware of how you can prevent gum disease in the first place. Brush well and brush often! Brushing your teeth at least twice a day, and, ideally, after every meal, is the easiest way to prevent gum disease. By using a soft toothbrush and fluoride toothpaste, brush your teeth for 2-3 minutes. Make sure to clean all sides of your teeth as well as your tongue to remove as much plaque as possible. If your gums hurt when you brush, it may be a sign of a more serious problem and it’s important to see your dentist in Douglasville as soon as possible. Flossing once a day will help remove any food particles and clean the spaces between your teeth that your toothbrush may miss. This is an important habit to to get into as cleaning in these hard-to-reach places can more effectively remove plaque and bacteria. Because gum disease sometimes doesn’t have any symptoms in the early stages, maintaining your dental appointments is a very important step in prevention. Regular visits to your dentist at least twice a year ensures that your gums are healthy and that no problems are going unnoticed. If you’re concerned about the health of your gums, or if you’re due for a checkup and cleaning, call our Douglasville dental office at 855-410-2757 to schedule your appointment today. 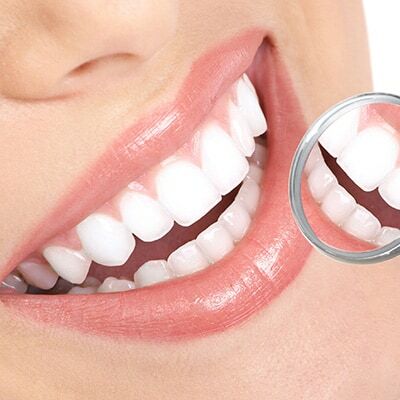 We will perform a thorough cleaning and examine your gums for any problem areas. If we do find active gum disease, don’t worry! Although gum disease is scary, it is often easily treated. And if caught early, treatment is even easier. Don’t wait for gum disease to cause bigger problems. Schedule your appointment today! What Are Your Gums Saying About Your Health, Douglasville? In our last blog, we discussed what periodontal (gum) disease is, some of the signs and symptoms that may indicate the disease, and how important it is to come see us at our Douglasville dental office as soon as possible if you’re experiencing any of those symptoms. Today we’re going to tell you why a quick diagnosis and early treatment of periodontal disease is so important. Your gums are the window to your overall health. They not only let us know if there is an issue in your mouth, they can also indicate other problems within your body. And when they’re infected, they can make you more susceptible to serious health issues and diseases. In fact, people with gum disease are more prone to strokes, heart attacks, heart disease, certain cancers, and diabetes, among other severe health concerns. How can a disease in your mouth cause problems in the rest of your body? There are four main ways that periodontal disease can lead to other serious health concerns. Bloodstream – Chewing food injects infectious bacteria into your bloodstream, which is then carried throughout your body. Breathing – Periodontal bacteria can be breathed into the lungs and increase the chance of lung disease. Transmission – Periodontal infection can be transferred directly from spouse to spouse and parent to child through a simple kiss. Immune System – Gum disease can lower your immune system, making you less effective at fighting off infections. While we know that gum disease can lead to serious medical problems and diseases, at Jim G. Williams, DMD, we also know that early diagnosis and proactive treatment can keep gum disease from causing any of these major health concerns. That’s why keeping up with your regularly scheduled visits is so important. If you’re due for an exam, call our Douglasville dental office today at 855-410-2757 to schedule your appointment. We look forward to seeing you! Who Cares About Gum Disease in Douglasville? At Jim G. Williams, DMD, LLC in Douglasville, we do! In fact, we’re going to devote the next few blogs to gum disease. We want all our patients to be aware of the signs of gum disease, and how important it is to prevent it, or treat it at the first signs. “Periodontal disease” is the technical name for gum disease, an infection of those tissues that support and surround your teeth. Gingivitis is early-stage gum disease and periodontitis is a more advanced and serious infection. Periodontitis can lead to loose, or even lost teeth. If you notice any of these symptoms, call us ASAP! At Jim G. Williams, DMD, LLC, we will determine if you have periodontal disease and recommend treatment options for you. Our first priority is to save your natural teeth. Restorative dentistry can work wonders, but there’s nothing like smiling with your own teeth. If you’re due for a regular visit, or have any concerns about your dental health, give us a call at our Douglasville dental office.